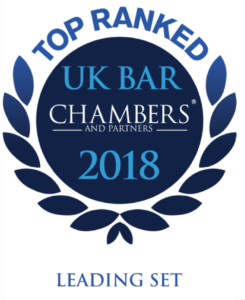 Members of chambers act for businesses and individuals involved with food production, import/export, packaging and retailing, in addition to acting for enforcement agencies across the whole range. We have particular expertise in defending food poisoning cases. We also represent businesses and enforcement agencies in the field of health and safety dealing with cases ranging from minor infringements to fatalities. Members of chambers have recently been instructed to prosecute cases against manufacturers and supermarkets on the verification of drained weight, governed by the WELMEC guidance, in relation to various tinned foods, including beans and peeled potatoes. These often involve detailed consideration of the due diligence defence. Chambers takes a stand at the CIEH Conference annually and members regularly give and attend lectures organised by the Institute. For details of our attendance at this year’s Conference please visit our News page. Members of chambers are founding members of, and regularly give lectures to the Food Law Group.